As the saying goes, a picture is worth a thousand words. And the world of healthcare is no exception. No matter how clearly you explain a patient’s condition or issue, your words can’t compete with a thorough visual demonstration. Additionally, as care providers seek to drive patient engagement, healthcare educational materials are essential to improve patients’ understanding. In fact, patient education has been proven to increase activation and encourage patients’ involvement in their healthcare. Here are three forms of visual aids that are especially effective in patient education. Charts and models with examples of the results of medical conditions help patients understand the reality of disease and the very real effects it has on the body. For example, telling a patient they have a high risk for heart disease may sound like an abstract problem. 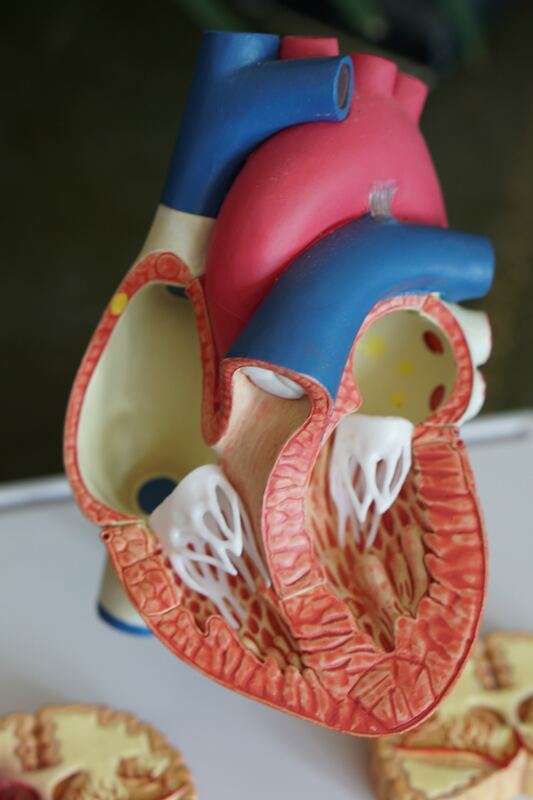 Conversely, showing a patient a chart that explains cardiovascular disease or a model of a diseased heart will assist professionals in communicating the gravity of the situation. These visual examples motivate patients to take responsibility for their own health and abide by their doctor’s recommendations. While generalized healthcare office may display whole-body models or charts, specialist’s offices often choose education materials tailored to the body systems they treat. This provides the opportunity to clearly educate patients on the care and causes of their specific conditions. Models and charts are available for a full range of specific body parts and systems, from spines to eyes, hearts, and feet. In every case, the details and realism of the materials give professionals excellent tools to educate patients. For a more passive form of education, many healthcare offices choose to display materials that promote personal health practices and awareness. These include instructions for effective hand-washing, tooth brushing, and CPR. They also may educate patients on the signs of heart attack or stroke or maintaining a healthy diet. More often than not, these materials are not used for intensive patient education, but rather provide a backdrop of information and familiarity with general health principles. Remember, every patient is different, meaning that the educational materials that are effective will vary in individual cases. Therefore, always assess a patient’s situation, including culture, education, and preferences, before choosing education tools. Additionally, finding the right tools is only part of the equation. Patient education happens most successfully in a quality healthcare relationship. Are you looking for high-quality charts, models, and other materials for patient education in your office? Look no further than AAA Wholesale Company, the best place to find affordable medical equipment. Check out our online catalog to learn more. Monitoring blood pressure becomes more of an issue as people age because of stress, diet, and weight gain. Other health factors like smoking can also contribute to higher blood pressure. High blood pressure puts people at greater risk of heart disease and other adverse health conditions. Getting an accurate blood pressure read is vital to be aware of where your blood pressure stands. It can fluctuate on its own, so people need to have confidence that the reading is on point. There are several different kinds of blood pressure monitors that doctors use in clinics, hospitals, and other settings. People can also buy a blood pressure monitor for home use. Here are a few different types of monitors and how they work. Most people who buy a home-use monitor probably have a digital blood pressure monitor. They’re simple to use and have self-inflating cuffs. All people have to do is slip it on their arm and press a button. The monitor has a screen that will beep and read out blood pressure numbers after several seconds. They vary in cost. Some are battery-powered, and others require plugging in for power. Differences in digital blood pressure monitors exist in where they are placed. Most are upper-arm monitors with a cuff that slips above the elbow onto the bicep for a reading. There are also wrist bands and other devices that measure blood pressure from a wrist reading. Finger monitors are less common but use sensors where a finger is inserted into a slot to read blood pressure. Finger monitors are often viewed as less reliable than arm or wrist monitors. Aneroid blood pressure monitors are what many people may think of when they see EMTs or doctors working in movies. They’re the standard ball and gauge device. After slipping a cuff on the upper arm, the rubber ball is squeezed to inflate the cuff. 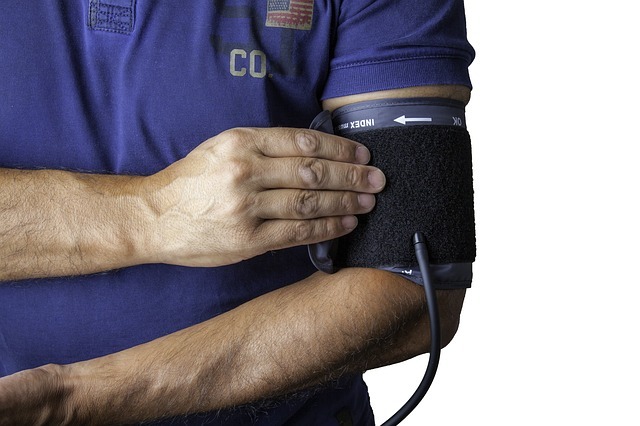 Whoever is taking the blood pressure uses a stethoscope to measure pulse on the forearm as air is slowly let out because both top and bottom readings are needed. Using an aneroid on yourself can be difficult, and the device can be hard to use. For these reasons, they’re not typically recommended for home use. Aneroid monitors are usually used in medical settings to confirm digital readings on a machine. AAA Wholesale Company has a wide array of digital and aneroid blood pressure monitors in stock. For people with concerns about blood pressure, having an easy-to-use monitor at home can provide peace of mind, as well as let you know if there’s something to be concerned about. Consult your physician if you have any concerns about owning a blood pressure monitor. They’re a great way to keep track of your health and make sure you’re on the right track to a happy and healthy life. Visit our site to check out all of our monitors in stock. Some people will roll their eyes or smirk when you tell them you’re thinking about buying an emergency kit. They lump you in with some of the extreme preppers on tv. What they don’t realize is that television shows purposely spotlight the craziest preppers because that’s what makes ratings. Millions of Americans practice common sense emergency preparedness. Take a look at recent floods in Houston, wildfires in Los Angeles, and Snowmaggedon in the Northeast. Natural disasters happen regularly in the country, so being prepared is the smart choice. Hopefully, you have emergency plans in place so everyone under your charge knows what to do if something goes wrong. They know who to call and where to go. Your emergency plan will largely dictate what kind of emergency kit you’ll need. If you need to plan for multiple days without food or water, you’ll need more extensive supplies. If you only need to survive a short time, then a go-bag with a bit of food, medical supplies, and water will do. Once you have a plan in place it’s easy to find the appropriate emergency kit. There are a lot of options when it comes to kits. There are kits designed for radioactive spills, trauma kits for things like a shooting or bomb explosion, and basic first-aid kits. Each is designed for different circumstances and will come at varying prices. They’ll come stocked with gloves, trauma bandages, airway tools, and other gear. There are emergency bags designed for surgeons to use, as well as kits for emergency responders. It’s important to stock your kit with things you know how to use. If emergency strikes and you’re unfamiliar with your gear, it will slow down response time and potentially cause further injury. After you purchase a kit, familiarize yourself with what’s inside. Know what item is located in each pocket so you can search through it from memory. Training is more important than any item in an emergency. However, having reliable supplies will make your response effective. 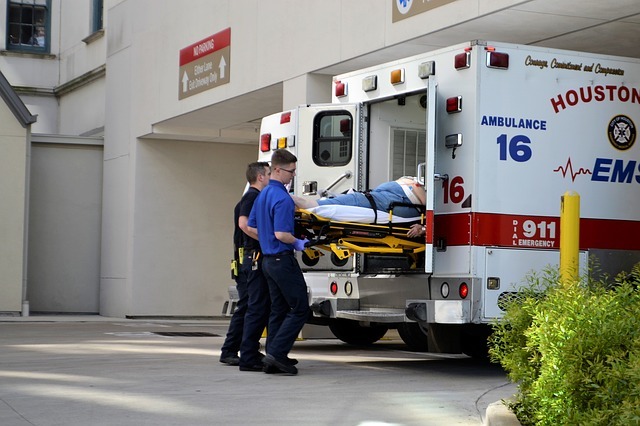 AAA Wholesale Company specializes in emergency medical supplies and pre-arranged kits. First responders and other medical specialists rely on our products to use every day. They are a great option for families who want to prepare for disaster as well. Visit our site to take a look at our wide selection of professional emergency kits today. Should You Always Use Sterile Gloves? There are a few key considerations when deciding to use sterile vs. non-sterile gloves. You might think it’s best to play it safe and always use sterile gloves, but that may not always be the case. Sterile gloves are clean from all bacteria. However, sterile gloves are generally more expensive than non-sterile. This means that the intended use of the gloves will be the deciding factor in which gloves you select. Choosing between sterile or non-sterile gloves requires understanding what they’ll be used for and whether it is cost-appropriate. Surgeons use latex sterile gloves to prevent contaminating anything during an operation. Sterile gloves are packaged separately with an expiration date, as opposed to non-sterile gloves that come together in a box. A special cleaning process removes any loose latex from the gloves after they are molded. Sterile gloves cease to be sterile once they touch anything. They are the safest way to prevent contamination. Sterile gloves are the best option for conducting medical or scientific research because they are most effective at preserving true results. Sterile gloves may not always be necessary. Studies have shown that non-sterile gloves are also very effective at preventing infection and can achieve results close to sterilized gloves. Many first responders, nurses and other people in the medical field use clean, non-sterile gloves to save on cost because they go through so many pairs of gloves every day. Each patient contact requires new gloves, so less-expensive non-sterile gloves are preferable. Some studies even indicate that there is no higher risk of infection between sterile vs. non-sterile gloves. Sterile gloves are the best protection against contamination during surgery, medical tests, scientific research, and other sensitive procedures. They help ensure results are as pure as possible, and no foreign objects enter the equation. However, they aren’t necessary for all situations. Non-sterile gloves have serious benefits as well. They prevent infections and avoid coming into unwanted contact with bodily fluids. Whatever your needs are regarding sterile vs. non-sterile gloves, AAA Wholesale has a wide variety of products in stock that can help. Visit our site today to check out our wide selection of protective medical products. Do you know the difference between particular types of compression socks and stockings? When buying compression socks, there are various options to choose from. While some compression socks help athletes, others are designed for diabetics. Since each type of compression sock serves a different purpose, it’s important to purchase the correct ones. Trying to differentiate between compression socks can be confusing, so we’re here to help you find the right stockings. Here’s a guide to everything you need to know about TED stockings. Due to some diseases or minimal movement, blood can start to pool in the lower limbs. When that happens, it leads to pain, swelling and blood clots. To prevent those hazards from happening, increase blood flow with compression socks or stockings. The main distinction between various types of compression stockings is their compression level. Available from mild compression to extra firm compression, you can use different levels of compression to fight different issues. Also called TED hose, TED stockings are anti-embolism stockings that help circulate blood in your legs. Working differently than other types of compression socks or stockings, TED stockings apply less pressure as they go up the leg. Their gradient compression applies the highest amount of compression around the ankle at 18 mmHg and lessens to about 8 mmHg at the upper thigh. Helpful for anyone who sits or stands for extended periods of time, compression socks have many uses. However, TED stockings serve a specific function. These are meant to be worn when a person is recovering from surgery or illness that leaves them bedridden for a prolonged amount of time. An abbreviation for “thromboembolism-deterrent,” TED stockings are specifically designed to prevent deep vein thrombosis or DVT. Following surgery, patients can be more prone to blood clots. TED stockings’ design inhibits those dangerous complications. For individuals moving around more often, a traditional compression sock is more suitable. Available in both knee-high and thigh-high lengths, it’s also important to make sure you choose the right style for your unique situation. The different lengths serve different purposes. It’s up to the doctor’s discretion which is right for each patient. Other than length, you can choose from different colors as well. Additionally, some people find open-toed stockings more comfortable than closed-toe, so both are available. Key elements of TED stockings are comfort and style. If you think you could use TED stockings, talk to your doctor today! Whether you’re looking for TED stockings or another type of compression sock, you’ll be sure to find what you need at AAA Wholesale Company. For children, any trip to a hospital or doctor’s office can become terrifying. Think about the busy atmosphere in medical environments, especially hospitals. Now imagine how a child must feel in that sort of environment. Add the strange noises, new smells, and unfamiliar medical equipment, and you have a recipe for complete terror. Can you make the experience less scary? Yes, you absolutely can. Pedia Pals wants to help. Here are a few things that you can do. To a child in a hospital, medical equipment looks scary. It’s unfamiliar, after all. Furthermore, from a kid’s perspective, these machines are “grown-up” things. If a child requires several tests and procedures, the best thing you can do is to make the equipment more familiar and kid-friendly. Pedia Pals accomplishes that goal with its animal-themed items. For example, a regular blood pressure cuff might look scary, but what if that cuff had the smiling face of an adorable teddy bear? Plus, when you work with kids, there’s no reason why your reflex hammer can’t be shaped like a dinosaur or your ear/nose syringes shouldn’t have elephant trunks. Give children a moment to look at your implements before you use them. With these fun animal shapes, you’ll make the experience much easier. All children are different. What comforts one child might stress out another. In medical situations, for instance, some kids will want to know exactly what you’re doing and when you’re doing it. They want you to count to three before you give them the injection or tell them exactly how bad the medicine will taste. Other children prefer a softer approach. With removable covers, you can appeal to both types of children. These removable stethoscope covers can provide some comfort to kids who need it, but you can always remove them for the kids who want to see everything as it is. One of the scariest parts of a hospital visit for kids is that everything comes in “grown-up” sizes. Everything about a hospital makes children feel small. The more items come in their size, the better they’ll feel about their experience. Child-sized chairs and tables can help kids feel at home. You can also provide stepstools and similar accommodations to give kids better access when they need it. AAA Wholesale Company is your #1 source for Pedia Pals products. 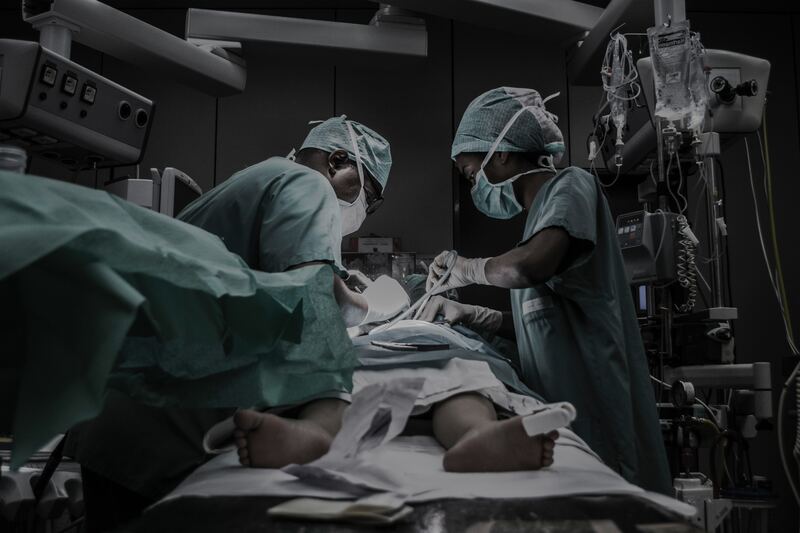 When you’re ready to make your medical environment more comforting and child-friendly, check out our Pedia Pals options to get started. One of the hardest things for a preemie to do is to regulate their own body temperature. Since they come out before their body organs are prepared to handle major temperature fluctuations, the Swaddler for Phototherapy not only provides their comfort, it also provides a special light that can help with jaundice. The phototherapy blanket helps to lower the bilirubin levels in a baby’s blood to help with the process of photo-oxidation, which makes it easier for the liver to break down the bilirubin that can be potentially harmful in large quantities. Some premature babies are not yet ready to feed on their own, which might lead them to need an enteral feeding tube. 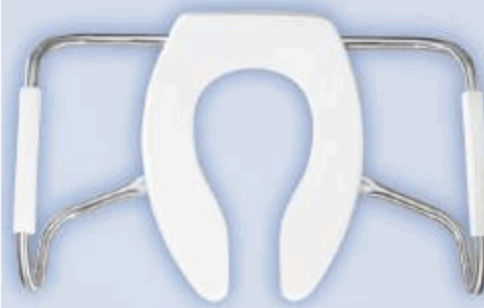 Enteral feeding tubes used to be difficult to insert, and once inserted, they could become clogged easily. That meant that they had to be extracted and replaced. For preemies and infants alike, that was a highly traumatic process. Thanks to innovative new products like the enteral feeding tube de-clogger, it is now possible to fix a clogged tube without having to remove it. And it is possible to ensure that preemies are getting all the calories that they need. When a preemie has an ear inflection, it can be difficult to see if earwax is covering the eardrum. The problem with traditional ear cleaners is that they can inadvertently push wax further into the canal and make things worse. The ear curette’s tip makes it possible to get a better look at the drum without the risk of rupturing it by pushing wax up against it. It is difficult enough to get preemies to consume all the calories they need to catch up. The controlled flow baby feeder helps to reduce air in the belly that can lead to gastrointestinal problems. 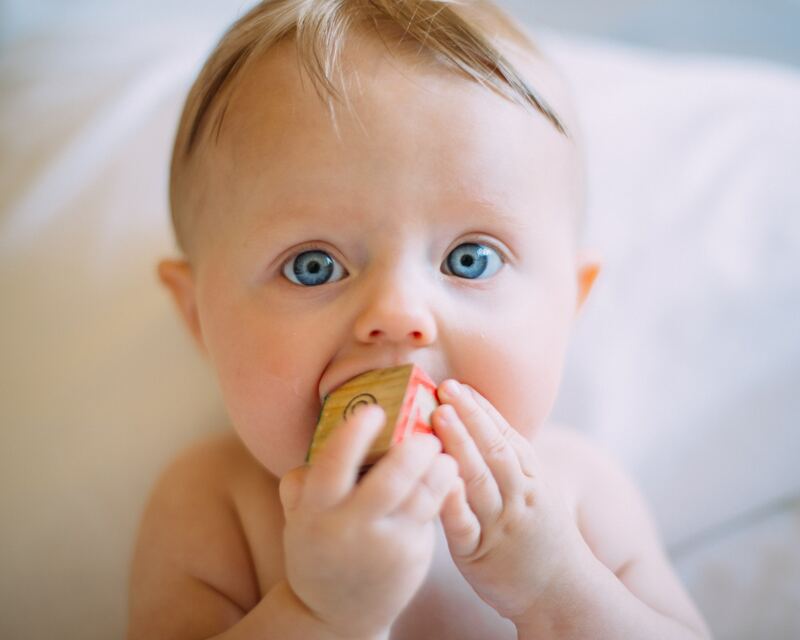 Gastrointestinal problems can slow feeding. Since the feeders are disposable, it also cuts down on the cost. And it also cuts down on the time needed to feed little preemies who are in the NICU. NICUs have come a long way in the past couple of decades. Not only are they saving more lives, but innovative new products are making it easier to run the NICU. This also lets them focus on the health issues necessary to give preemies a good start in life. For more great NICU products, check out AAA Wholesale Company today. 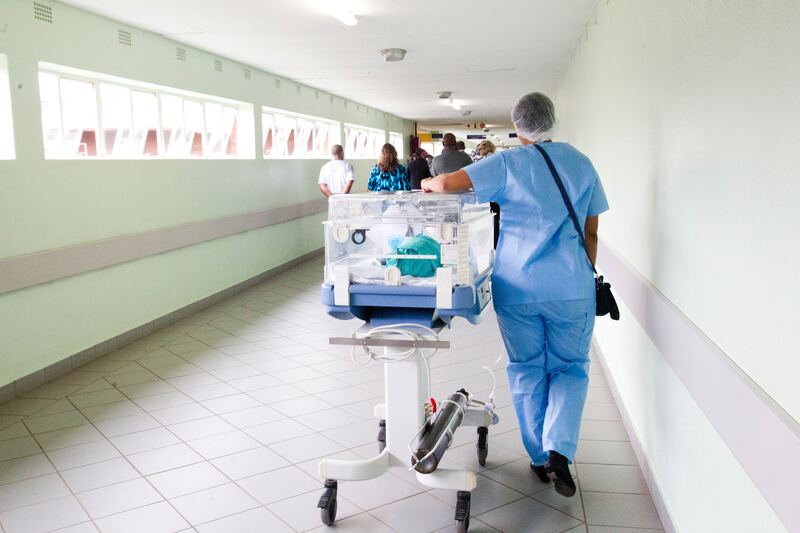 We have hundreds of lifesaving medical NICU supplies to help your hospital run much more safely and efficiently. What’s in an Industrial Toilet Seat? What is Different About a Bemis Medic-Aid Industrial Toilet Seat? Bemis is a manufacturer that caters to public bathroom settings. Bemis seats are specifically for where there are people who have special and specific needs. They are manufactured to be both safe and comfortable. To reduce the risk of infection in places like nursing homes and hospitals, they also have an anti-microbial agent built in that helps to kill bacteria and viruses on contact and reduce odor. Bemis Medic-Aid toilets are also heavy-duty to provide more safety and security features to the public. The Medic-Aid Lift Seats are a perfect choice for nursing homes and hospitals. They provide strength and durability. Because they meet ANSI Z124.5 standards, they will also ensure that you aren’t leaving yourself vulnerable if something should happen in the bathroom. The Medic-Aid seat has a raised plastic tile seat that gives people more ease when lowering and raising themselves. And they all come with the DuraGuard anti-microbial agent built-in for easy cleaning and germ protection. When you have an individual or a population that needs a little more assistance, the Medic-Aid with Safety Side Arms is a perfect choice. Not only does the seat provide the same anti-microbial agent, but it also has side arms. They help to assist the user when sitting and getting up. It is highly durable and has stainless steel side arms. To ensure that the arms aren’t slick, they are textured and have placed finger and handgrips for more traction. For the best of all worlds, the Medic-Aid Lift Spacer has DuraGuard and an anti-microbial agent. The lift of the Medic-Aid lift Spacer is three inches high. That gives the seat more height for easier lifting and lowering. And it also has a 300 series stainless mounting bracket that allows the seat to be raised to a vertical position for easy cleaning. Although the average person doesn’t give much thought to an industrial toilet seat, when you deal with special populations, a toilet seat becomes highly critical. To find the best supplies for your company or business, check out AAA Wholesale. We provide a large inventory of what you need at a price that beats the competition. For some hospital patients, cafeteria food suits their needs just fine. For many other patients, however, this food can leave a nutritional gap. A lot of patients require a feeding tube. Several others have health-related dietary restrictions. These restrictions often limit patients’ food intake, sometimes to dangerous levels. For those patients, hospital nutrition supplements can bridge the gap. AAA Wholesale carries a broad range of options. This way you can provide your patients with exactly what they need. Health conditions like PKU or pressure ulcers can keep people from getting the calories that they need from their regular diets. Furthermore, other health conditions cause patients to lose their appetites. This means they may avoid eating a sustainable amount of calories. These situations can cause dangerous weight loss and other health problems. Hospital nutrition supplements, however, can provide extra calories when regular diets can’t get the job done. Some of these supplements were designed with advanced caloric needs in mind. The nutritionists who created these supplements have provided a way for patients to consume a lot of calories in an efficient way. Of course, healthcare providers have other nutritional concerns apart from calorie intake. Any condition that causes calorie restrictions will also cause nutritional deficits. A lack of protein often causes a big concern. Thankfully, hospital nutritional supplements provide an easy, quality source of protein. As a result, these supplements can prevent muscular breakdown and cellular problems. Many of these supplements also contain a balanced mixture of macro- and micronutrients so that patients who don’t get enough from their hospital meals can still maintain their health. 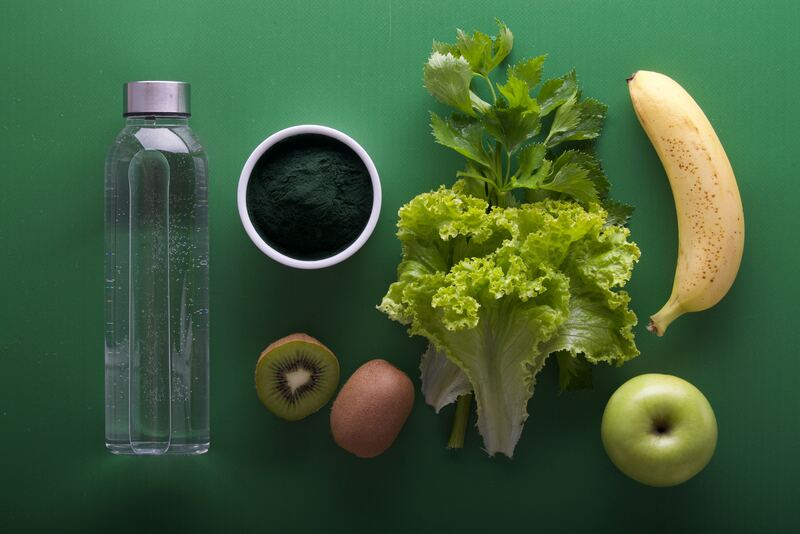 No matter what your patients need from their nutrition, hospital nutrition supplements can more than likely meet that need. Need a low-calorie but nutrient-dense formula? Hospital nutrition supplements can provide that. Need a good protein source in a feeding tube formula? Again, you can find a hospital nutrition supplement that will work for your patient. Whatever the patient’s nutritional needs may be, a supplement can help feed the body for better healing. You can also find a good range of flavor options for those patients who get tired of chocolate and vanilla. When you need hospital nutrition supplements, AAA Wholesale is your go-to source. We carry supplements that fit all sorts of different needs. Take a look at our Nutricia products to get started. You can also contact us if you have any questions. 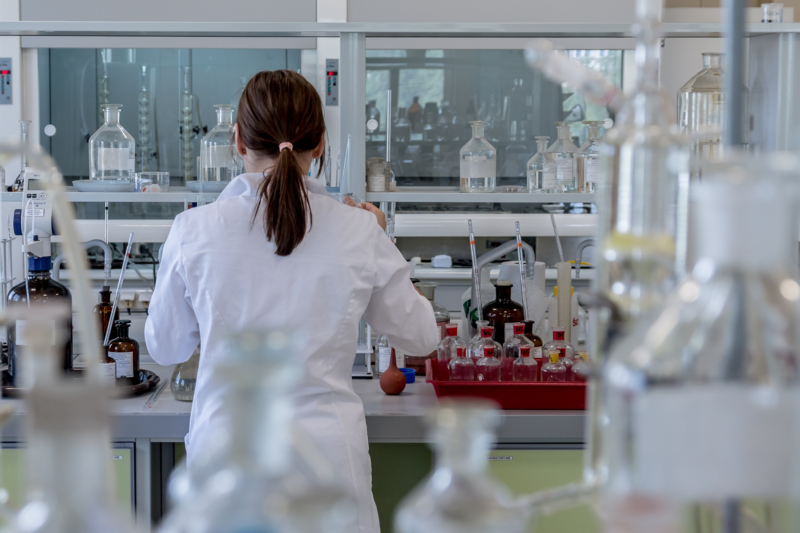 When you work in a laboratory setting, having a sterile environment is critical to the operation of the lab and the consistency of the lab results. To ensure you have a fully sterile environment, make sure that staff members are covered from head to toe. That way they can’t contaminate specimens or taint the work that you do. Disposable lab coats are a perfect way to ensure quality control. They can also prevent any contamination from interfering with your work environment. What is a Disposable Lab Coat? A disposable lab coat is a great solution to ensure that your employees maintain a sterile presence each time they enter the lab. If you allow employees to wear their own lab coat, there is no way to avoid contamination. You also can’t ensure that they are taking care of it on their own. And if you reuse lab coats and wash them internally, then you are going to pay a lot more in laundry costs. Disposable lab coats are the smartest and most inexpensive way to go. There are a ton of different disposable lab coat options depending on your needs. They come in full lengths or jacket lengths of various materials. You can order them in bulk, and they will suit your entire staff instead of getting each employee their own lab coat. Custom lab coats can get pretty costly. The best part about a disposable lab coat is that when an employee’s shift ends, they simply throw it in the waste receptacle – what could be more versatile than that? When it comes to disposable lab coats, like everything else in this world, you get what you pay for. Just because they are disposable, that doesn’t mean that they don’t have to have the quality necessary to do what they are supposed to (create a sterile environment). As an organization, it is important to cut costs, but not at the sacrifice of your work. So look for bulk disposable lab coats that will do what you need them to. Research different brands to know that they will help your laboratory maintain quality requirements. If you run a lab and are looking to buy disposable lab coats, then AAA Wholesale Company is the company to buy from. We offer competitive pricing and the highest quality lab coats in the industry. We don’t just sell lab coats; AAA Wholesale Company has all the wholesale goods you will need to run your business and to keep the quality you need for your lab’s reputation. Check out our inventory today!